DK-DPU (Door Phone Unit) is functional at Gx series telephone system and IP gateway that has DK port interface. 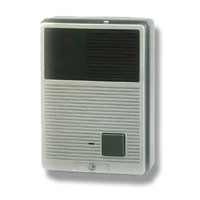 It is a water-proof metal case Door phone unit. Sensor: Feedback the Door open status to system. Two Relays: Control the gate to open or other purpose. LED (red): Indicate the call status.